If China cannot avoid economic stagnation resulting from the trade deal, this will have a far more severe impact on the global economy than Japan's lost decades. However, this outcome is unlikely. What could the trade deal look like? Even if currency is mentioned in the agreement, it will not be the whole deal. A broad agreement could still be finalized, and the deal must take into account the concerns of both sides. The China-US relationship is more complex than many others, such as Japan-US ties, so its trajectory can hardly be defined by a unipolar model. What's more, the Chinese economy is quite different from that of Japan, whose small domestic market means that it's highly dependent on export growth. In recent years, the direct contribution of trade to China's economic growth has decreased, as the country has shifted its growth model to one relying more on consumption. 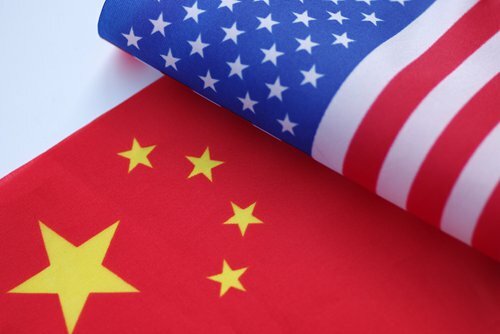 No matter what kind of agreement is reached with the US, China's broad market and domestic consumption can buffer the impact of the agreement to ensure economic stability. The trade deal will probably have two effects on China. First, the nation may further open up its economy and import more products from various countries including the US. This would be in line with the direction of China's existing economic reform policy. Second, the deal may prompt China to invest more in innovation and depend more on its domestic market. The trade war will speed up China's transition toward a consumption-led economy, which wouldn't be totally bad for the economy. In that case, China's processing industries may have to shift their focus from Western markets to the domestic market and emerging economies, even if that's not easy. Realistically speaking, the trade deal will be both a challenge and an opportunity for China's economy, but it won't face lost years as did Japan.